Thanks to Bob Dunn, a very helpful WordPress Guru, I learned about Christopher Carfi’s 2016 Social Media Cheat Sheet, which outlines the most recent image sizes for Facebook, LinkedIn, Twitter, Instagram, Pinterest – you name it. Check out Christopher’s post on the GoDaddy blog, and make sure to bookmark it. There is also a great bonus – links to other resources to help make sizing images much easier. For the third year in a row, I’ve written the top B2B case study on RainToday.com, based upon traffic the case drew for the top online resource for sales and marketing for professional services. My case study on Babcock & Jenkins Inc. was honored for 2013, and featured the story of how the Portland, OR Content Marketing Agency competes with global giants. I interviewed Lauren Goldstein, vice president of Strategic Planning, who told me how the agency created a highly personalized, database driven, multi-touch marketing campaign designed to rise above the messages that typically bombard B2B technology marketers. 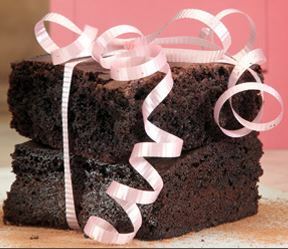 The case story included how the firm used gourmet brownies to appeal to their target audience. Read how the B2B Agency landed six new customers, and increased sales by more than $1.5 million in the RainToday Babcock Jenkins case study. RainToday.com is the leading site professional services firms turn to for marketing and sales advice. With more than 120,000 members, RainToday serves up great content –insights, advice and tools –from top experts such as Jill Konrath, Charles H. Green and its own experts Mike Schultz and John Doerr. I also earned RainToday’s Reader’s Choice Award on May 1 for another case study, which analyzed how Mahoney Internet Marketing used LinkedIn and content marketing to revamp its sales process. In 2012, my top case study featured Michelle Bomberger of Equinox Business Law and how she rebranded the firm to appeal to large business clients, and launched a content marketing plan to increase awareness. Bomberger also added unlimited general counsel services for a monthly flat fee, which was a new fee structure. These moves helped her increase revenues nearly 84% in just two years. Read the RainToday Equinox Case Study to learn exactly what Michelle did. In 2011, my top case detailed how Consulting Firm ATC attracted large clients and grew revenue 50% using an implementation fee and a guarantee. Doing so helped Advanced Technology Consulting of Cincinnati take some of the risk out of the equation when large firms started working with them. It also gave them a significant selling point, said CEO David Goodwin. Read about the common small business mistakes Goodwin made and how the implementation fee works in the ATC Case Study. Will You Be the Top Case Study in 2014? I’m always on the lookout for service professionals (technology, marketing, accounting, law, and consulting, etc.) that have quantifiably increased their business through a specific marketing or sales activity or set of marketing activities. Your company must operate in the B2B realm and have measurable results you are willing to share. Email me if you have an idea you’d like to pitch. Additionally, I love to help companies sell with case studies. Feel free to contact me if you need help writing stories that sell. This a blog post series for beginners on how to quickly get started with the social media site LinkedIn. This is the last in the five post series. Go back to your profile and make sure you’ve filled out your Experience section fully – I noticed a few of you only have the name of the law firm listed. Provide a description: what is a full service family law firm? How is your firm different from everyone else? Who do you want to hire you? What do you enjoy doing the most? What would you hope someone would say about you to a potential client? Post an Update – what are you working on, what have you learned or what news can you share? Try to post one update a week, more if you can. Your connections will see your name more often and think of you. Follow two more Groups and find additional discussions to participate in, remembering to provide value and not sell. Jill Konrath, a well-respected sales guru is rocking LinkedIn with great tips and case studies. She’s sending out daily videos and is talking about LinkedIn on her blog. Author Wayne Breitbarth wrote the book on LinkedIn. His book is called The Power Formula for LinkedIn Success. I highly recommend it; I used it to get up to speed on LinkedIn. Wayne isn’t some slick social media salesman from Silicon Valley; he was the CFO and accountant at his own office furniture company in Pewaukee, Wisconsin when he learned about LinkedIn. Respond to messages in your inbox. Check in on discussions in groups you are following to see if you can add value. Post a status update offering any good blog posts, information or insights you have. Review profile updates of the most important people in your network. Review the new connections of your No 1 connections to see if they would be people for you to connect with as well. Update your profile with any new information – projects, webpages, documents. Go through your connections land write two unsolicited recommendations. Review your competitors profiles and see if you need to tweak any of your information. After working on your profile for the past five weeks, you should be well on your way to having at least 150 connections in your network, at least three to five recommendations, a full profile that’s showing up regularly for keywords you chose, and regularly getting emails from other people seeking to connect with you, including potential clients. I’d love to hear how well this series worked for you. Let’s discuss your results in the comments below. In case you are just dropping by, this is a blog post series for beginners on how to quickly get started with the social media site LinkedIn. In Week Three of the series, I asked you to start thinking of connections to ask for recommendations. Everyone is nervous about asking for LinkedIn recommendations – you aren’t alone. LinkedIn Recommendations carry a lot of SEO weight. The theory goes the more recommendations (not endorsements) you have, the more your profile shows up in search results. Think of recommendations as testimonials. The easiest way to get a recommendation is when someone mentions they like your work. Immediately ask the person if they’d be willing to give you a testimonial and LinkedIn Recommendation. If so, tell them you’ll send them an email reminding them what they said, and providing additional information on what skills you hope they might include. When asking LinkedIn connections for recommendations, only ask people you have worked with for a while, and that you feel will do so willingly and freely. That may sound odd, but just like the people who ask you to connect that you really don’t know, getting a weak recommendation isn’t going to do you any good. Ask managers and one or two colleagues at each place you’ve worked. Don’t overload your recommendations only with colleagues because if these are your only recommendations, they won’t carry as much weight. Make sure to delete the generic, automatic wording when requesting a recommendation, and write a personal note instead. Another good way to get recommendations is to give them – but don’t expect one in return. Some people discount recommendations when they see one on your site from the person you also recommended. But I don’t. If you genuinely recommend someone you enjoyed working with, they may feel the same way and reciprocate. That doesn’t mean you two got together and collaborated to earn more recommendations – although apparently, this is what some people have done. Take a good look at their profile to see what words and keywords they are using. Read the recommendations they already have to see where you can add value. If you know this person well, send them an email telling them you are giving them a recommendation and ask what skills they may want you to mention. Think about what you would say about this person if someone called to ask for a reference. Jot down these thoughts. Begin a recommendation with the best thing you want to say. Tell a short story or provide facts to back up what you say. Provide lots of value, but be brief. Once in a while, you may get a request for recommendation from someone you either don’t feel comfortable recommending or just don’t know. How many LinkedIn Recommendations are enough? I don’t think there are any rules of thumb. Five is a good number, 10 is probably better if you are an independent contractor who works on a lot of projects and has skills working with small, medium and enterprise customers and who has many services to offer. I’ll admit that my LinkedIn Recommendations have all come from people who have decided to recommend me due to the work I’ve done. I’ve only asked one person for a recommendation, and while she wrote a glowing one, it never came to my inbox. And I’m still hoping she’ll write one for me, but she’s an awfully busy woman. Do you have any tips about making LinkedIn Recommendations? Please share your thoughts in the comments below. For those of you just dropping by, this is a series of posts for those just getting started with LinkedIn. As I mentioned previously, I’m helping a law firm get up to speed with LinkedIn. To help veterans and beginners, I’m creating a step-by-step cheat sheet that anyone who is just starting with LinkedIn can use to get up to speed quickly in a few bite-sized chunks that don’t take a lot of time. Here’s LinkedIn Cheat Sheet for Busy Professionals – Week 3. You’ll find Week One here, and Week Two here. 1) Connect with 10 to 20 or more people, connecting with a handful each day this week. Think of past bosses, colleagues, clients and friends. 2) Check out LinkedIn’s new endorsement feature and endorse a few of your referral partners for their expertise. Your connections are bound to do the same for you. When you pull up a profile of a connection, LinkedIn will serve up a blue box asking you to endorse them. If you click on the “Skip” button, LinkedIn will serve up a box with four other people to endorse. Either endorse these for the skills or click the “See More” button that will appear in the blue box. 3) Follow Two LinkedIn Groups. Start with something in your profession if referral cultivation is your goal, or if you are seeking new clients, figure out where your target market hangs out and join those groups. Don’t worry if the group isn’t perfect – there are a lot to choose from. Within those two or three groups, browse the posts to see where you could be of value, and participate in one or two discussions. Be helpful and don’t sell. You only want to showcase your expertise and knowledge. 4) Start thinking about who the best connections will be to ask for recommendations – not endorsements, but recommendations. Make a list and save it for next week. 5) Revisit and revise your profile – Can you add any keywords, additional information or documents to make it even better? Your profile can be improved every time you visit. Think of ways to make it standout. What success have you seen following these steps so far? Please share your thoughts in the comment section below.